Becoming a locksmith is a fantastic choice for those of you looking to learn a lifelong trade or even to start working for yourself. The MPL 5 Day Ultimate Locksmith Training Course is perfect for those of you starting out in the locksmith industry. Here are 5 reasons to take the 5 Day Ultimate Locksmith Training Course! Whether you’ve just finished school or you’re looking to change your career, our 5 Day Ultimate Locksmith Training Course is designed with beginners in mind. This extensive course provides you with the skills and know-how of starting your own locksmith business – so you can be your own boss. No prior experience is necessary and every on your course will be in the same boat. 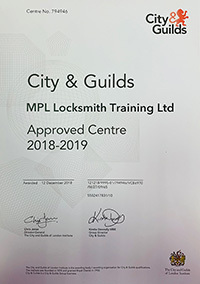 All MPL locksmith training courses are run by dedicated experts with years of practical experience either as a self-employed locksmith or a larger company. Our specialists will let you in on all the industry secrets, latest techniques, technology, methods and equipment. The 5 Day Ultimate Locksmith Training Course involves lots of practical work – ideal for those of you who prefer a hands-on learning experience. The 5 Day Ultimate Locksmith Training Course isn’t called ultimate for no reason. At MPL we make sure you have the opportunity to learn everything from health & safety to high security locks. Each day is packed full of amazing locksmith skills you’ll take with you in your new career. Skills include drilling techniques for all locks, British standard lock picking, uPVC door locks, business start-up advice, advertising/invoicing, Snap Safe locks and so much more. We’ll teach you about the entire locksmith industry from basic locks all the way up to maximising profits for your own locksmith business. 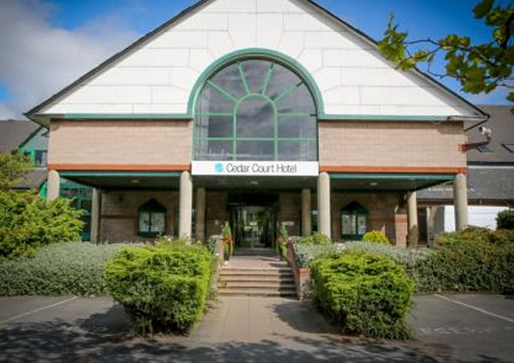 At the end of each day our experts will hold a course-relevant Q&A session so you can refresh your mind and also ask any queries you may have. We work alongside the Northern Council for Further Education (NCFE) so you can earn the very best industry qualifications. On completing the MPL 5 Day Ultimate Locksmith, each student is awarded an NCFE Level 3 Certificate, an MPL 3 Day Course Certificate and an MPL 2 Day Advanced Picking Course Certificate. 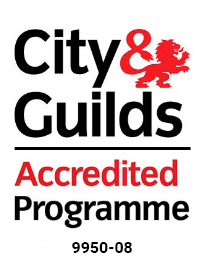 This high quality collection of qualifications could impress prospective clients when you’re running your own locksmith business – securing many loyal customers for years to come. 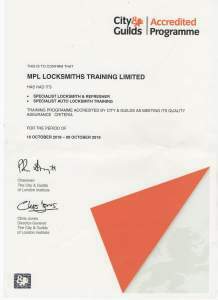 As well as qualifications, the MPL 5 Day Ultimate Locksmith Training Course comes with a few extras. Of course, this includes refreshments, exclusive training and all the skills you’ll need to become a locksmith. But we also offer a 24 hour helpline for all students, a free Locksmith Bible worth over £100, full back-up service when you’re on call for a job and comprehensive coverage of destructive/non-destructive techniques…all included in the course fee! Ready to kickstart your locksmith career? Call 01924 360444 today to book your place on the 5 Day Ultimate Locksmith Training Course.